We just returned from a 5 days 4 nights Hanoi Trip and we would like to share our experience. We travelled as a group of 10 family members spanning 3 generations, it was good family bonding time. We found a local tour operator through good reviews on the Internet. 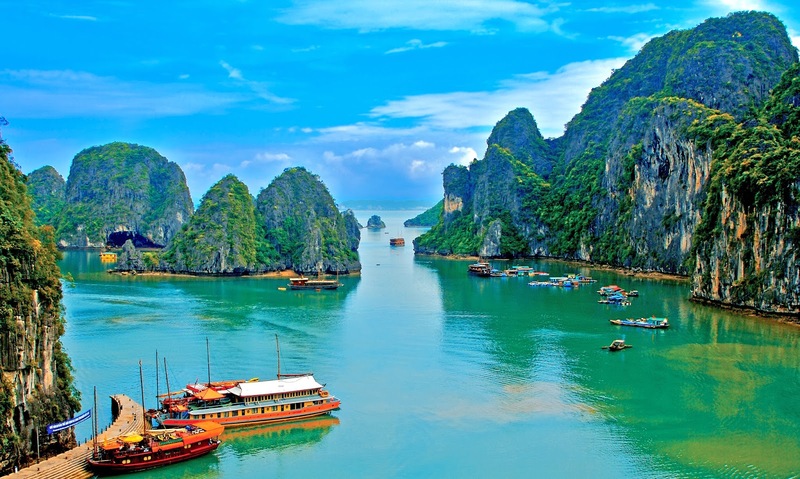 Initially, we only wanted to book a Halong Bay day trip but the service, suggestions and price we received via email was so good that we ended up booking the hotel, the airport-hotel transfer and the Halong Bay day trip. We emailed different local tour operators for the Halong Bay day trip but none matched the good service and price. We were received at the airport by a very friendly guide. The mini bus for us was in very good condition. We were sent to our hotel in the old town of Hanoi on Ma May street. Our Halong Bay day trip was a private trip. We had the mini bus and the boat to ourselves. The seafood lunch served on the boat was good and the cruise through the bay and the visit to Thien Cung Grotto ("heavenly palace" cave) were enjoyable. We took some amazing pictures. We were so happy with the Halong Bay day trip so we went on to book a Hanoi City tour and a Ninh Binh day trip. 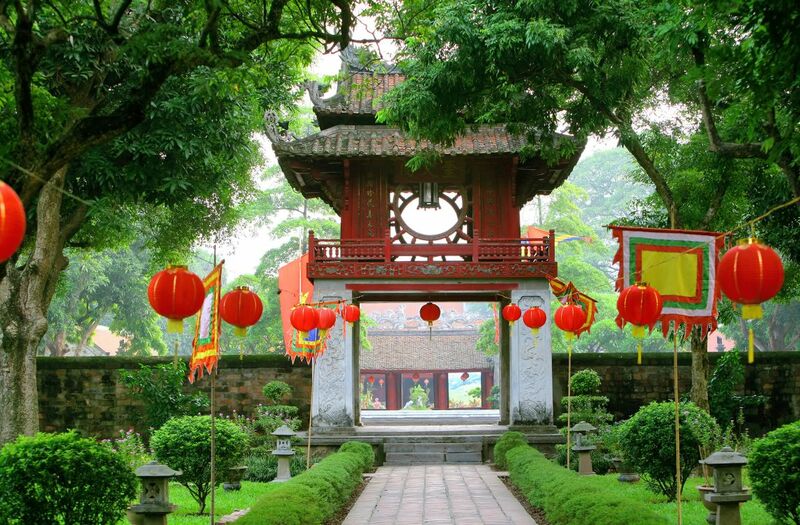 Our Hanoi City tour included the Ho Chi Minh Mausoleum, Residence and Museum, One Pillar Pagoda, Hoa Lo Prison (Hanoi Hilton), a great lunch, Vietnam Enthnology Museum and Temple of Literature. We were back at the hotel around 4.15pm, rested for 2 hours, then tour guide picked us up again with the minivan. We went to Le Mat the "snake village" just outside the city for a snake dinner in a restaurant with elegant Chinese style dining halls. It was a unique experience. Our Ninh Binh day trip included the Bai Dinh Pagoda (the biggest in South East Asia, Hoa Lu the ancient capital and an almost two hours local small rowboats (sampan) cruise through Tam Coc the "Halong Bay on land". We passed through three low caves where we could reach up and touch the ceiling. We did some sight-seeing on our own such as exploring the old town (using the walking tour from Frommers.com), the Hoan Kiem Lake and an evening show at the Thang Long Water Puppet Theater. We also tried Hanoi's famous fried fish at Cha Ca La Vong at no. 14 Cha Ca steet in the old town. Beware of imitation restaurants on Cha Ca street, they even claimed that they are no. 14 when the real Cha Ca La Vong is just across the road! The price at Cha Ca La Vong is high but the authentic experience (you cook and mix the dish yourself at the table) and great taste is worth it. We ordered Cha Ca at another restaurant and the price is half but it is nothing near what we had at Cha Ca La Vong. We really enjoyed this Hanoi trip and had some great new experiences. Our 5 days 4 nights private and customized trip was cheaper with a more interesting itinerary and more sights than 4 days 3 nights package trips offered by the tour agencies in our country.